German Chancellor reportedly warned Netanyahu that the Mideast will plunge into war if the US withdraws from Iran nuclear deal. The Middle East will be plunged into a devastating new war if the Trump administration withdraws the United States from the 2015 Iran nuclear deal, German Chancellor Angela Merkel reportedly warned Israeli Prime Minister Binyamin Netanyahu on Tuesday. The Israeli premier spoke with Merkel on Tuesday and congratulated her on the formation of a new governing coalition. During the phone call, Merkel and Netanyahu also discussed the future of the Joint Comprehensive Plan of Action (JCPOA), better known as the Iran nuclear agreement. While President Donald Trump has indicated his willingness to withdraw from the agreement if America’s European allies are unwilling or unable to alter key components of the deal – a position strongly supported by the Israeli leader – Merkel warned Netanyahu that the collapse of the JCPOA would likely lead to a major regional conflict, Channel 10 reported Tuesday night. 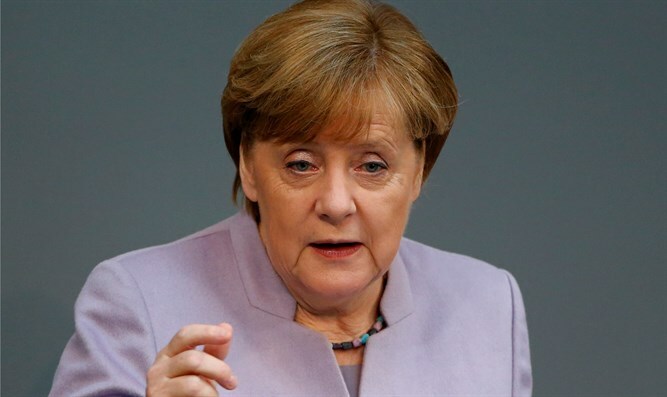 The European signatories to the JCPOA, Merkel is also quoted as saying, are unwilling to push for the kinds of fundamental changes to the deal sought by the Trump administration and the Israeli government. Pushing for significant changes to the deal nearly three years after its signing would destroy America’s credibility in future negotiating, Merkel added. President Trump, a long-time critic of the JCPOA, fired Secretary of State Rex Tillerson earlier this month in large part because of Tillerson’s support for maintaining the Iran nuclear deal. Trump has tapped CIA chief Mike Pompeo, an opponent of the JCPOA, to replace Tillerson.